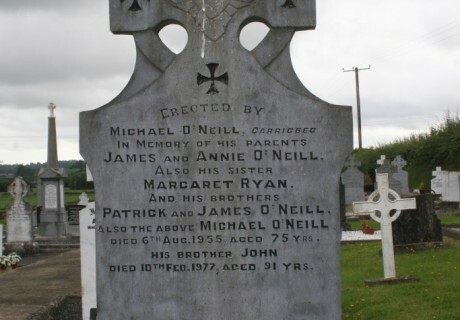 Erected by Michael O'Neill Carrigbeg in memory of his parents James and Annie O'Neill. Also his sister Margaret Ryan and his brothers Patrick and James O'Neill . 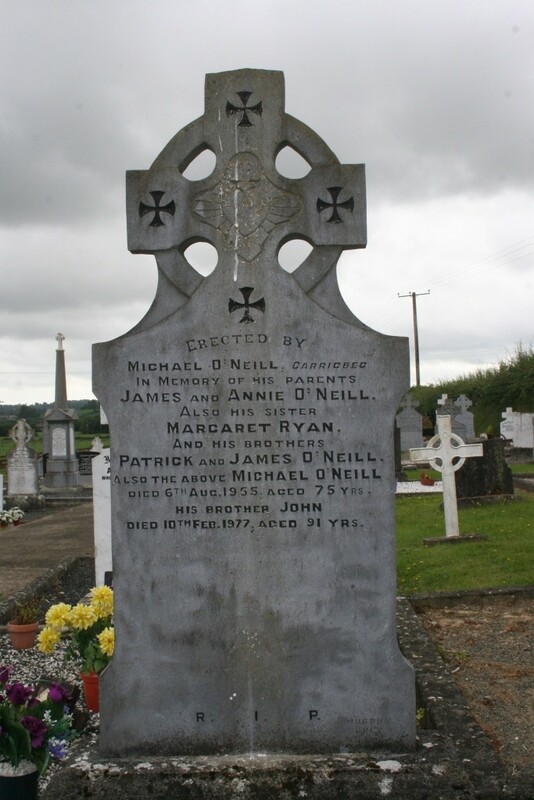 Also the above Michael O'Neill died 6th Aug. 1955 aged 75 yrs. His brother John died 10th Feb. 1977 aged 91 yrs.